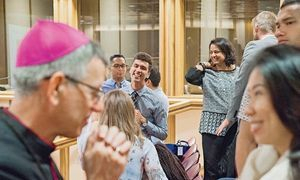 Melbourne Youth: Have your say! 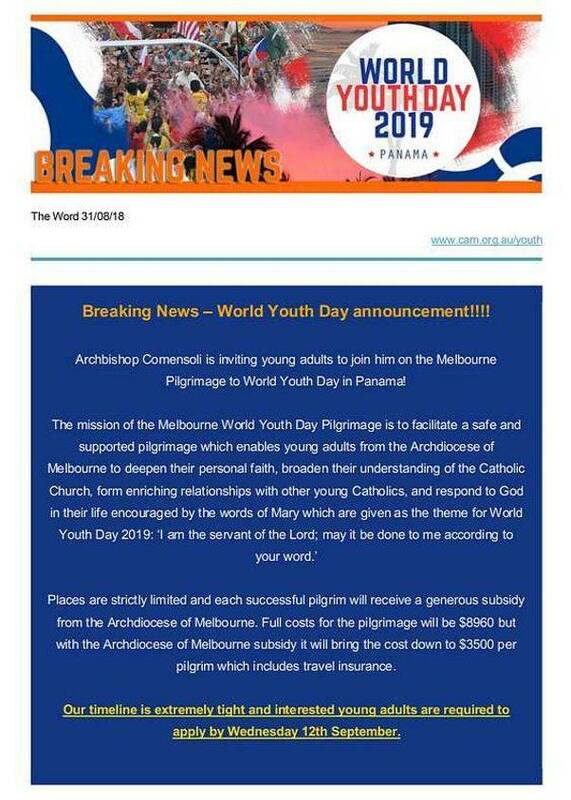 or contact the Archdiocesan Office for Youth on 03 9287 5565 or wyd2019@cam.org.au. 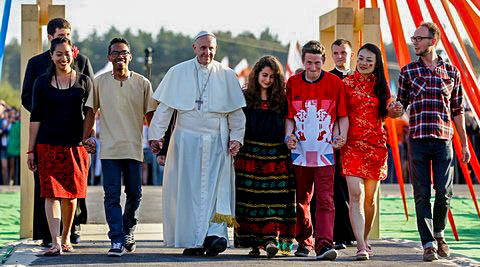 We are pleased to announce that the 2019 Summer School of Evangelisation will be your World Youth Day at Home, hosted by the Disciples of Jesus in partnership with the AOY. 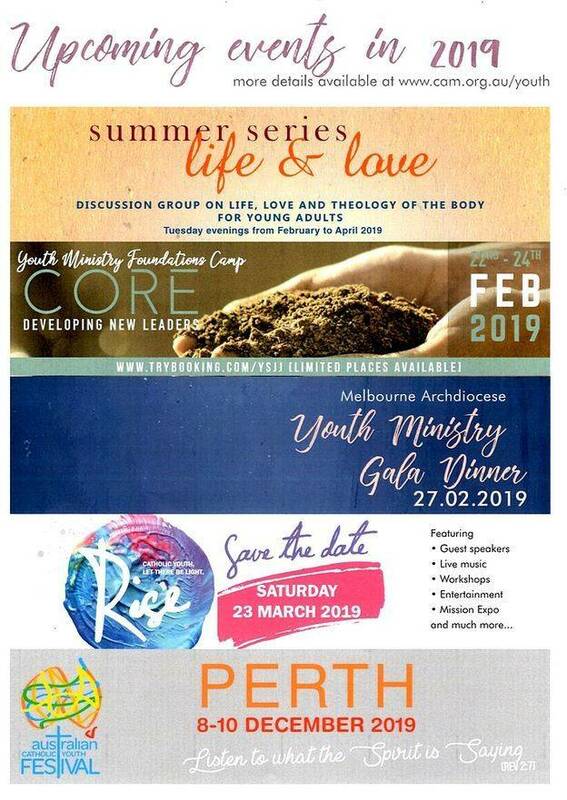 The 2019 Summer School will take place in Kyneton so save the dates 20-27 January 2019 (the same dates as the international World Youth Day) and stay tuned for more details! The Vinnies Social Extravaganza (25 Aug) Young Vinnies are hosting a social night of fun at the Melba Speigletent. All welcome. Details HERE. 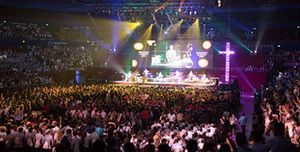 Australian priest Fr Rob Galea has recorded the official English-language version of the theme song for next year's World Youth Day in Panama. Source: The Tablet. After 6 years the Ivanhoe Parish Youth Group went into 'Indefinite Hibernation' in September 2011.
there's much happening for youth!